The students taking their Master on Curating the Art Museum at The Courtauld Institute of Art will inaugurate their show There Not There tomorrow Thursday 14th June in the prestigious Courtauld Gallery. The exhibition will last for one month, and will be entirely directed by the students of the London University. Felicien Grand d’Esnon, Beatriz Garcia-Velasco, Laura House, Camille Feidt, Marie-Katrin Blanck, Jane Simpkiss, Hannah Marynissen, Helen Record, Margot Mottaz, Emma Batchelor, Naomi Polonsky, and Saskia Flower are the twelve young curators that took part and organised this year exhibition. As the title of the show suggests, the central theme explored by the MA students will be that of presence/absence, inclusion/exclusion. The research conducted throughout the year long course culminated in the choice of twelve internationally acclaimed artists to be displayed in the rooms of the Courtauld Gallery. The artist selected are: Michael Craig-Martin, Andy Goldsworthy, Christine Hatt, Runa Islam, Jasper Johns, Richard Long, Karl Ohiri, Paul Seawright, George Shaw, Wolfgang Tillmans, Armando Andrade Tudela, and Rachel Whiteread. The choice took into account especially the way these artists reflect on the unstable and shifting boundaries that separate oppositional categories such as absence and presence. The eclectic variety of media on which the works on display rely on further comments on questions of difference, inclusion, and fluctuating possibilities. Despite their differences in approach, the works on display share a common fascination with the ideas of disappearance, transformation and erasure. These themes emerge from the artists’ engagement with the natural world, the urban environment and human relationships. The oeuvres in this exhibition are linked by their engagement with the act of disappearance. 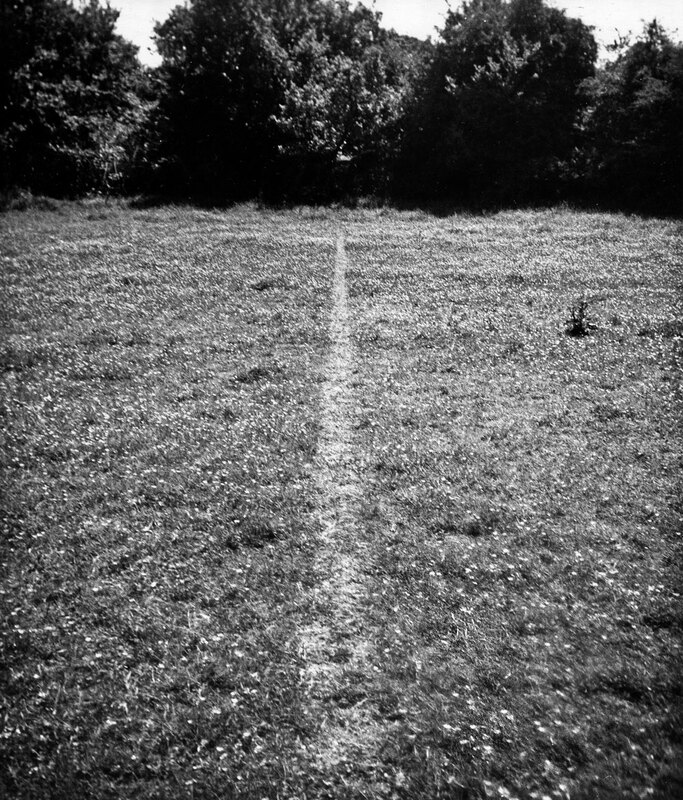 In Richard Long’s seminal work A Line Made By Walking (1967), the artist records the trace of his presence in nature, while he himself remains absent. Runa Islam’s 16mm film Stare Out (Blink) (1998) provides a surprising comparison, also capturing an absent presence. 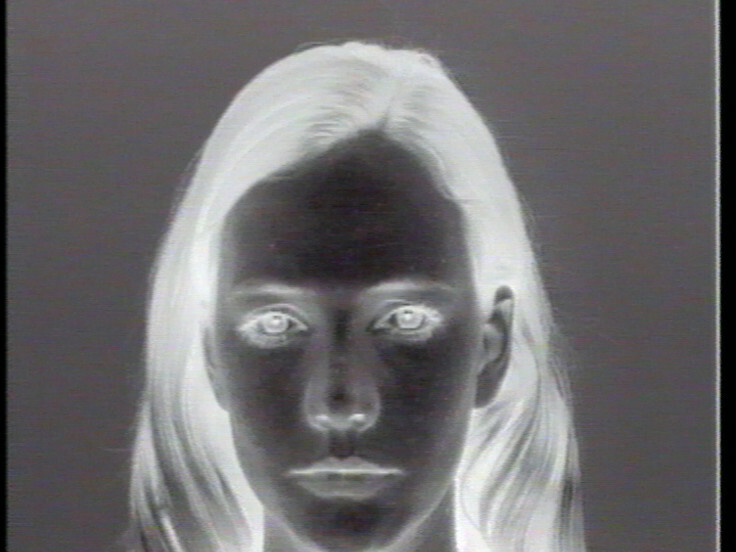 A young woman gazes intently at the viewer before she suddenly disappears, leaving her imprint on the viewer’s retina. The exhibition will also explore the way in which artists have engaged with loss and erasure in different political and social contexts. 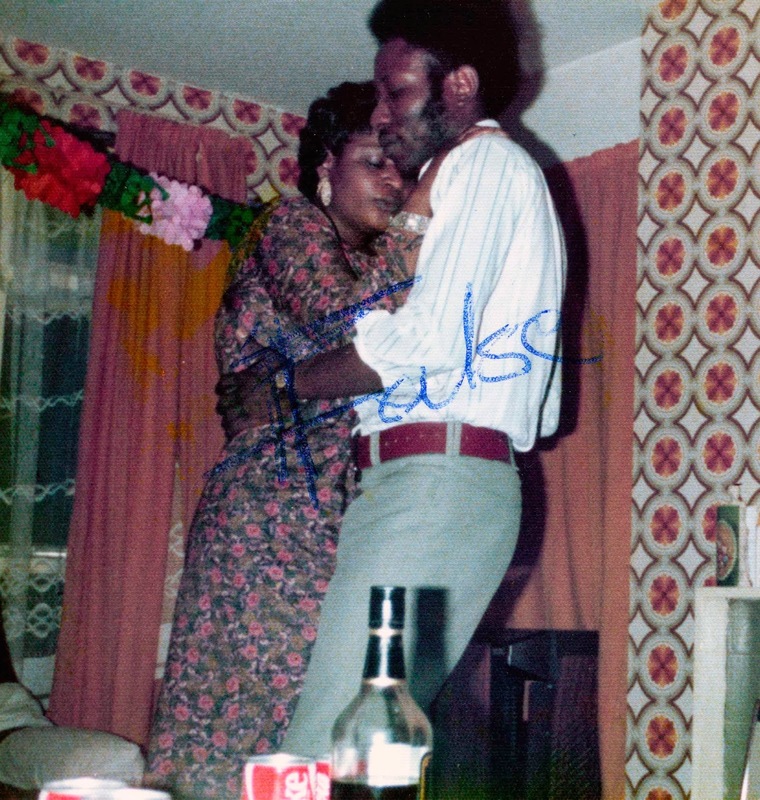 British-Nigerian artist Karl Ohiri’s series How to Mend a Broken Heart (2013), on display for the first time since it was acquired by the Arts Council Collection, consists of a group of family photographs, violently defaced by his mother. Ohiri appropriates the photographs in order to reflect on his family’s painful history and his mother’s rewriting of it. 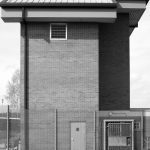 Irish artist Paul Seawright revisits the sites of the 1970s sectarian violence in Belfast in order to come to terms with this collective national trauma. Whereas Ohiri records a deliberate act of effacement, Seawright seeks to prevent the erasure of historic events. The emotionally-charged artworks in There Not There will provide an opportunity for the visitor to consider both their own experiences and those of others. Jasper Johns’ The Seasons (1987), recently acquired by The Courtauld Gallery, poetically reflects upon the passing of time and the process of ageing. Incorporating motifs from his earlier works and the silhouette of his shadow into the compositions, Johns anchors these universal themes in his own life. 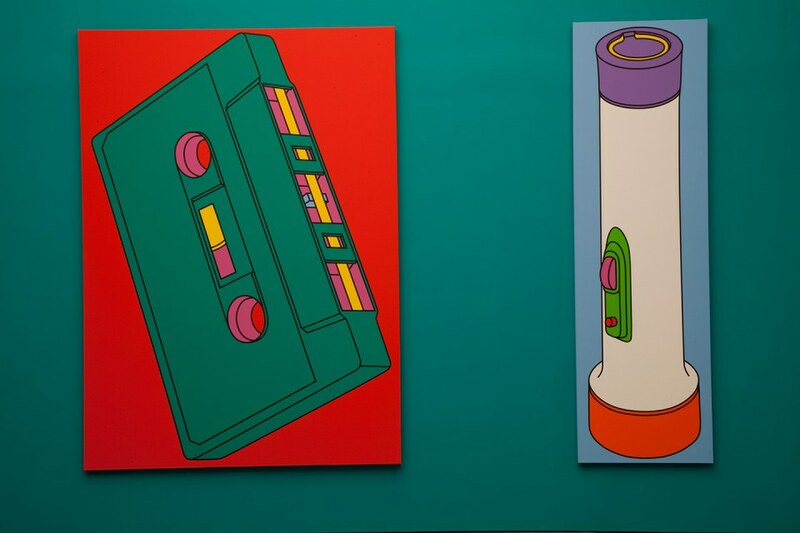 Michael Craig-Martin’s Kid’s Stuff 1-7 (1973) echoes these meditations on time and mortality, yet transforms the viewers into the subject of the work. Reflected intermittently in the surface of the works, the viewer is forced to be simultaneously present and absent, there and not there. Sir Michael Craig-Martin, an Irish-British artist, worked with drawing and painting, and is also famous for his conceptual oeuvres, such as An Oak Tree. This piece consists of a glass of water on a shelf, paired with text declaring that the glass is, in fact, an oak tree. Crais-Martin is best known for his images of ordinary objects, with bold outlines and vivid colors. His early work referenced, in fact, Minimalism and Dada’s depiction of mass-produced fetishisms. These objects form Craig-Martin’s most recognizable works, paintings in which about 200 familiar items (eyeglasses, milk bottles, scissors) are depicted both realistically and graphically, represented in lurid, unexpected color combinations and black outline. Andy Goldsworthy is a British sculptor, photographer and environmentalist. For creating his ephemeral, site-specific sculpture and land art he often uses only his bare hands, teeth and found tools. His direct dialogue with nature produces uniquely personal and intense artworks. Using a seemingly endless range of natural materials—snow, ice, leaves, bark, rock, clay, stones, feathers petals, twigs—he creates outdoor sculpture that manifests, however fleeting, a sympathetic contact with the natural world. Before they disappear, or as they disappear, Goldsworthy records his work in superb colour photographs. 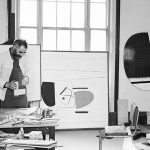 Born and based in London, Christine Hatt creates abstract works that deal with form and perception. They engage in particular with repetition, difference and opposites. Though simple in appearance, her oeuvres involve a complex layering of materials and colours, and therefore of hidden meanings. Runa Islam, born in Dhaka, Bangladesh, brought to Europe, where she moved at a young age, her cultural background. Islam works in the medium of film, investigating the nature of perception and representation. Often employing 16mm film, the artist makes reference to the history of cinematography. Her work challenges and explores the structures, materiality and histories of representation and visuality, often in relation to cinematographic and architectural concerns. Adopting diverse methods and approaches in the presentation of her work, she disrupts, alters and enhances visual and architectural space, shifting perception and drawing attention to the act of seeing. Jasper Johns is an American painter, sculptor and printmaker. His work is often provocative and highly diverse. It doesn’t really fit into any strict category and is widely associated with Abstract Expressionism, Neo-Dada and Pop art. Johns is best known for his works of flags, targets and other ordinary objects, such as the tea cup hanging from a canvas or the broom at the centre of Fool’s House. 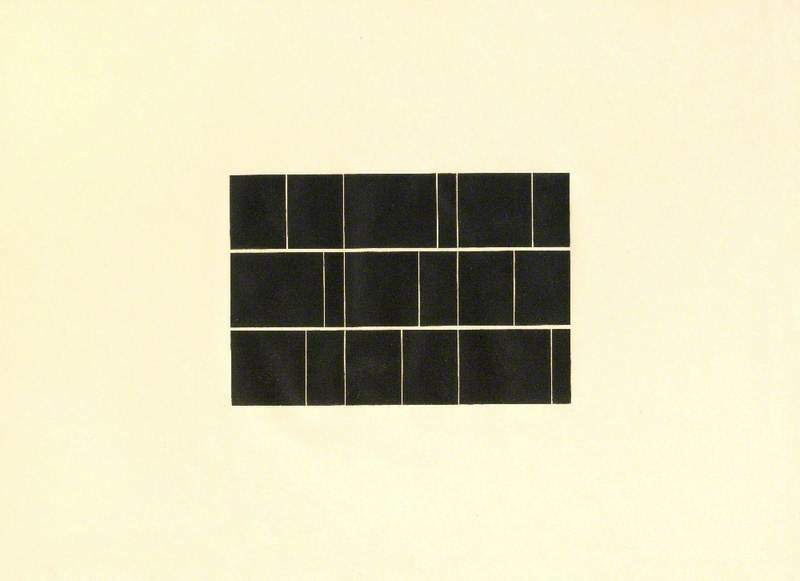 Sir Richard Long works in various media – sculpture, photography and text. Several of his works start from his own walks into nature, which he considers as metaphor for the whole human life. Long’s excursions into the lands are then mapped in photography and text, broadening the definitions of sculpture to include performance and conceptual art. Karl Ohiri is a British-Nigerian artist. He uses photography, text, and everyday objects to engage with social and political themes, offering conceptually driven and often documentary based projects. 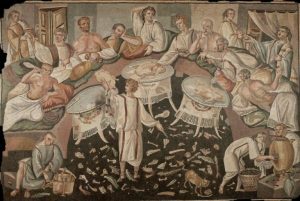 These consist of original works and the recontextualisation of pre-existing artifacts. 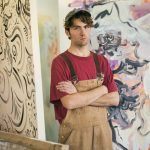 His creations are often rooted in his personal experiences, exploring dual identity and family relationships. He begun his visual arts practice in 2007 with the documentation of his ancestral homeland of Nigeria. The artist also works as one half of the collaborative duo Ohiri + Kassinen, whose works were exhibited at the Taylor Wessing Portrait Prize at the National Portrait Gallery, London in 2016-17. Paul Seawright was born and grew up in Belfast and much of his early work focused on the city’s history. After creating the Sectarian Murder series, for which he is best known, he has made a number of photographic series that centre on conflicts in Africa, America and Afghanistan. In 2002 he was commissioned by the Imperial War Museum, London, to create a series of works about 9/11 and its aftermath. Wolfgang Tillmans focuses on his everyday surroundings in his photographic practice, investigating the medium of photography itself. Already clear from his titles such as Susanne, No Bra (2006) and Anders pulling splinter from his foot (2004), the German born photographer plays with emotions and common sense, blurring the boundaries between strangeness and familiarity. Finding his way into the art world with his documentations of youths, clubs, and LGBTQ culture, the artist’s practice evolved to include both private and public subjects. Using an extensive range of photographic techniques, he produces diaristic photography, large-scale abstraction, landscapes, and commissioned magazine work. Armando Andrade Tudela’s practice focuses on the relationship between Modernist aesthetics and local contexts. Working with drawing, installation, film, sculpture, and slide projection he investigates how form relates to culture, place, and time. He is also active in the cultural life of his country, Peru, where he collaborated with the Espacio La Culpable (2006–08), which formed as a reaction to conventional systems of art display and commerce, foregrounding process over product and providing Lima with a flexible platform for collaboration. 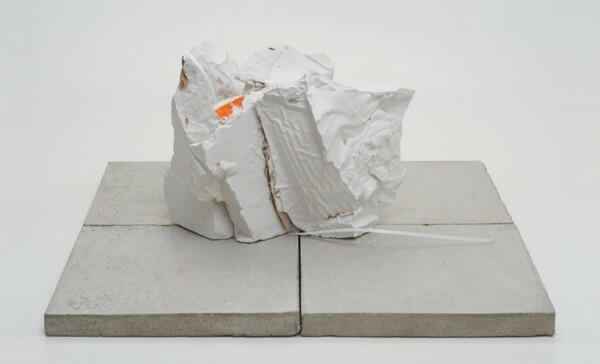 Rachel Whiteread’s oeuvre primarily consists of sculptures, typically in the form of casts. This practice is used by the artist to turn the ephemeral space embodied or created by objects into concrete matter. Many of her casts are taken from ordinary things and their so-called negative space. By transforming the invisible, intangible space, often overlooked by sculptural practices, she changed the road of art reproduction, stressing the unseen aspect of things over their physical presence. During the time of the exhibition, a series of talks and events will be held in the gallery. Included in the ticket for the gallery, every Monday, Wednesday, Friday at 1.15-1.30pm, the curators will briefly explain the exhibition theme, or focus on selected works. Also with the ticket curators will be available to give a walking tour of the show. This will take place every Sunday, 4.00-4.45pm, and Thursday 28 June and 12 July, 5.00-5.45pm. Also one tour exploring the surroundings of Somerset House will be available, as well as a panel discussion with two artists. This entry was posted in Art Openings, EXHIBITIONS and tagged curating, curator, exhibition, museum, opening, Preview. Bookmark the permalink.